As one's interest and knowledge in aquarium keeping grows it is natural to want to step up to a larger tank. One very popular mid/larger sized aquarium is the 55 gallon tank. The larger tank really opens up a lot of wonderful possibilities to explore. Here are a few themes and ideas of fish for a 55 gallon freshwater aquarium to get you started. Cichlids - African cichlids are some of the most colorful and interesting freshwater fish around. They can be kept in smaller aquariums, but with their territorial nature, a small tank can only support a few fish. African cichlids can only be kept with other African cichlids, as they are very aggressive toward other fish, so they are a perfect choice for a "species tank". Some people might worry that keeping a tank full of only one species might be a bit boring, but with African cichlids, that is certainly not the case. A 55 gallon tank would support about a dozen adult cichlids which would provide a wide spectrum of colors and personalities in the tank. One important point about the cichlid tank is that if you want live plants, cichlids are not for you. Cichlids are constantly "landscaping" the tank, digging and rearranging everything in the tank. A well-stocked cichlid tank is a real crowd pleaser! Discus - Discus are a beautiful fish that are thought by some to be difficult to keep. This is not actually the case. They do have specific requirements that differ from a lot of other common community fish, but if properly provided for, the discus is a hardy fish. The discus doesn't have to be the only fish in the tank, but they do best if they are the primary fish. They strongly prefer to be in groups with other discus and based on their adult size, they require about 10 gallons of aquarium space per fish. That translates to about 6 discus in a 55 gallon tank, and this is a large enough group to make the fish happy and to create a great discus display tank as well. A "Schools" Community Tank - This term describes a community tank with different schools of fish as the primary inhabitants. With a small aquarium it is only possible to have a few different types of fish, and only 1 or 2 specimens of those, as the small tank just can't support big numbers of fish. Many common aquarium fish when in their native environment are found in schools because they prefer groups. We are able to replicate this with a larger tank. One Cory cat is nice in an aquarium, but in a group of 4 or 5 they take on a whole new persona. A school of cardinal tetras are a beautiful sight. With a bunch of hatchet fish or danios cruising on the surface, you create an aquarium with constant activity and loads of personality. Given the natural tendency of these fish to live in groups, the "schools" aquarium will have a very authentic feel. These are just a few ideas. One should definitely experiment depending on personal preferences and experiences, but most of all enjoy the limitless potential of the 55 gallon freshwater aquarium. Drew Bartlett is an aquarium enthusiast who has maintained many aquariums over the last 30 years. His favorite to this day was a 55 gallon aquarium filled with African Cichlids. 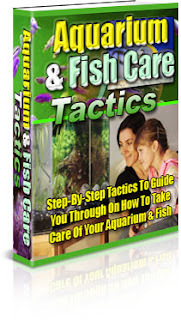 Find more information at his website www.thefreshwateraquariumguide.com.